Bega Surrounds: Why live near Bega? House designs in these areas are predominantly larger, executive style housing. 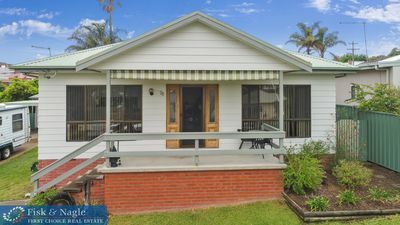 Some of the earlier subdivisions are heavily influenced by the Australiana era with iron roofs, bull nose verandas and brick veneer or double brick walls. Later constructions tend toward a modern rendered look with stone or timber features. Houses here are generally well sought after and hold a high appeal to professionals or business owners seeking a quality home with privacy. Primary aged school children are able to attend a wide selection of primary schooling in Bega. Aside from several public schools there are local Catholic, a Rudolf Steiner, Montessori and Anglican schools. Secondary students can attend the Bega High Public School, the South Coast Anglican College of the Lumen Christi Catholic College located in Pambula. Bus services are provided for all school aged children. 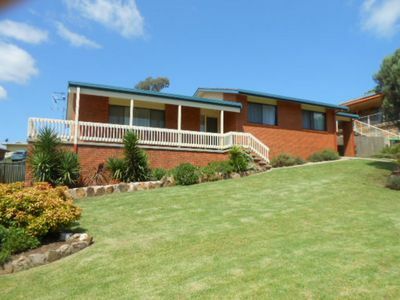 The Bega surrounds real estate areas are all located on the immediate outskirts of Bega. Most areas are an approximate five minute car drive from the center of Bega. Tathra Beach is a fifteen minute drive, Bega and Tura Beach a twenty minute drive. Bega has a history rich in dairying and is well known for the beautiful rolling green pastures that surround the township. With a growing population and increased services the town of Bega has had to address increased housing needs. Pockets of dairying and farming land surrounding Bega have been selectively subdivided into lifestyle blocks offering residents the option of building their dream home in peaceful surrounds. These subdivisions have largely occurred to the south of Bega and along the Tathra Road. Max Slater Drive and Frogs Hollow are rural subdivisions of small acreage to the south of Bega. Darcy Lane in Jellat Jellat, Narrawa Place, Linkwood Estate, Kerrisons Lane are rural subdivisions along the Tathra Road. So if you are looking for Bega Surrounds Real Estate, why not talk to one of our sales team at Fisk and Nagle.